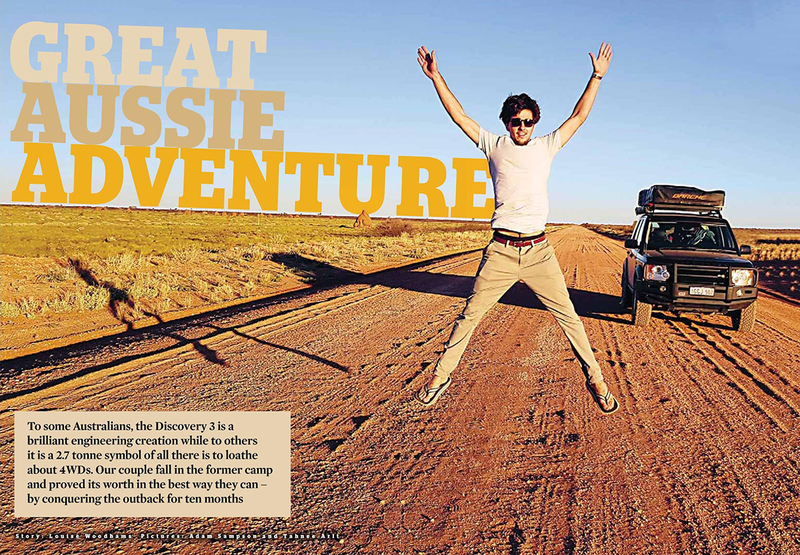 Great Aussie Adventure - Our Feature in Land Rover Monthly Magazine! 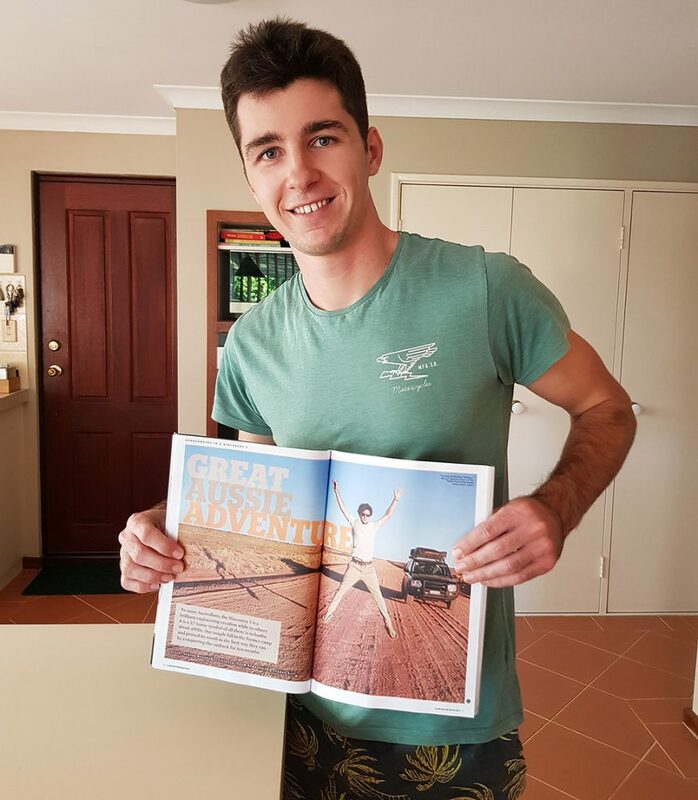 We were interviewed by UK magazine, Land Rover Monthly, about our recent road trip around Australia for their April edition! Read our cover story here. After returning to Perth in the new year, we thought settling back into normality would be a slow and cumbersome process with memories of our road trip fast fading away. Not so, thanks to some of the amazing opportunities we have received that have allowed us to share our story to help and inspire others. The cat is out of the bag! Not long after we returned to Perth in the new year, renowned UK magazine, Land Rover Monthly, interviewed us about our road trip around Australia for their April 2019 edition, in which we are a cover story. In the article, we talk about a broad range of topics, from what inspired us to set off in the first place, what vehicle modifications were done, to destination highlights as well as overlanding tips. It really is quite the achievement, and it’s refreshing to see a young couple prioritising travelling and swapping status (with the nice big house, income and job title) for a simple life. 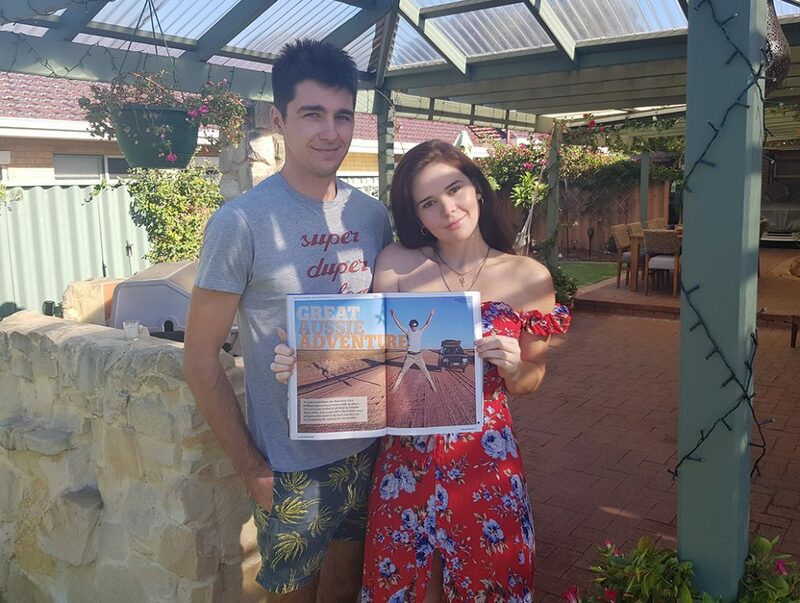 Don’t get me wrong – Adam and his partner Tahnee are both young professionals with bachelors degrees and several years’ work experience in their respective fields but for them the next rung of the ladder was a road trip in their home country. After saving carefully for several years the pair was able to fund their Australian voyage of discovery – Adam even sold his beloved motorcycle. Their love for travel is in their blood. Obligatory couples photograph with our first ever magazine cover story! Considering it is a Land Rover focused magazine, we also talk in-depth about why we chose a Land Rover Discovery 3, what modifications we did to it to make it capable for the outback and how it performed for the trip. Read the article here. Seeing all of the hard work we put into creating a vehicle we can actually live out of was amazing. It isn’t the fanciest or most expensive rig, but it has taken us everywhere on this great continent and not left my girlfriend and I wanting for anything. We would like to thank Land Rover Monthly for publishing our story and making it a cover feature for their April Edition 2019! This is truly a great memento for us that we will remember for the rest of our lives. A special shoutout also goes to LRM editor, Patrick, for showing an interest in our story and proceeding with it; and to writer Louise Woodhams, for interviewing us and putting together the article. It was an absolute pleasure getting to know you both and we are incredibly grateful for your time and effort in this. If you haven’t read the full article yet, you can do so by clicking the link above (where it will open up a PDF of the full article). Adam pleased with how the article turned out. Land Rover Monthly magazine interviewing us about our road trip around Australia is one of those rare opportunities which we jumped at the chance to be part of! For our Australian readers, the Land Rover Monthly April Edition will hit newsagency stands in May. However, you can purchase a single digital issue for immediate download via Pocketmags. 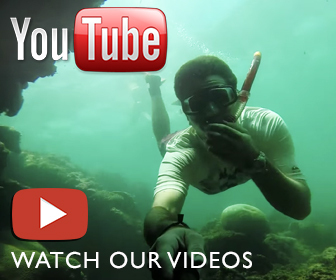 Sharing our story to help and inspire others is what our website and social media is all about.